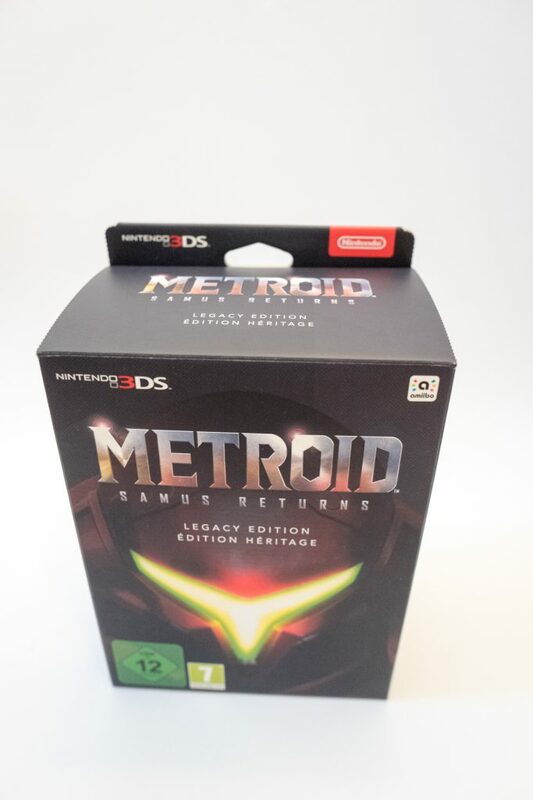 You get a rather sizeable box for a 3DS game which is always a good start, you have Samus pictured on the front with her glowing helmet. 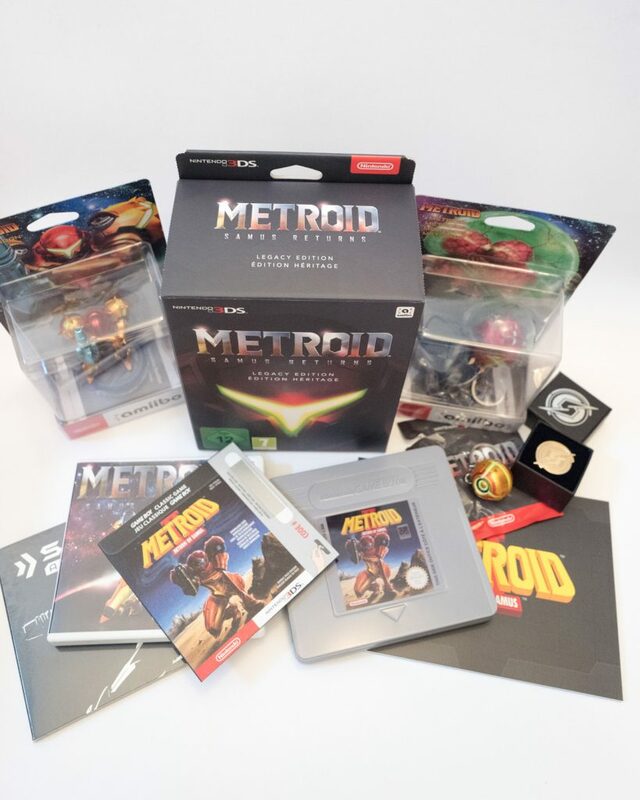 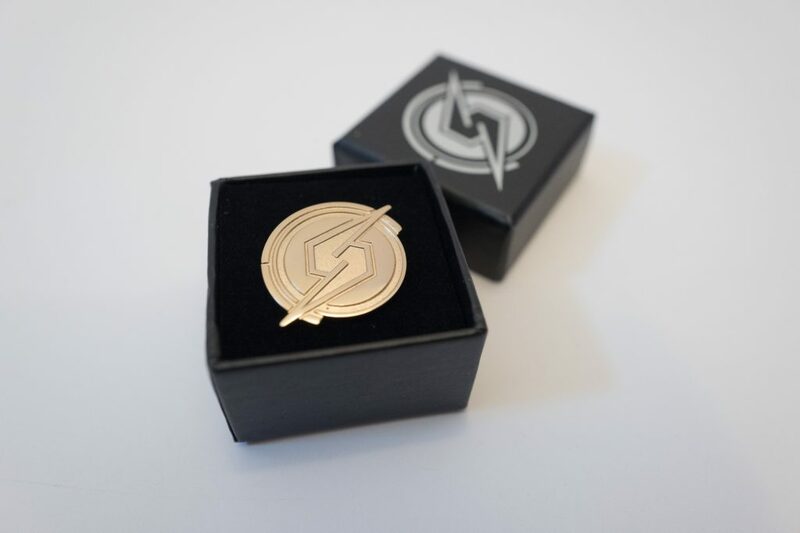 Opening the box reveals a stack of fun goodies firstly we have the boxed Samus pin, the pin is in a gold colour and comes in a black box. 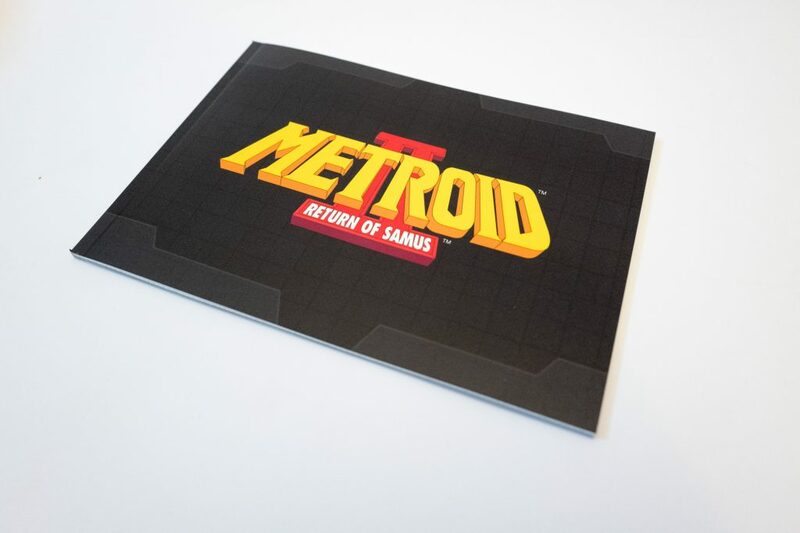 Followed by a Metroid II Return of Samus art book in black. 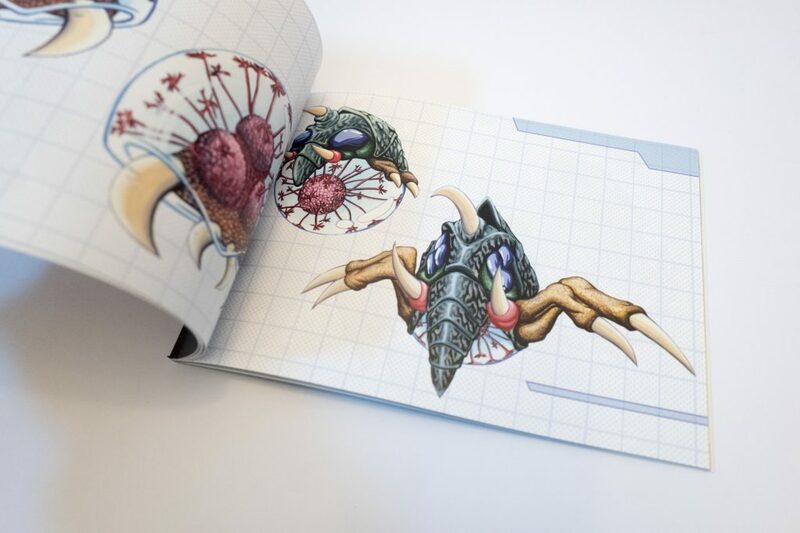 The art book is great, it is full of designs from the game and is a cool item to have in the box set. 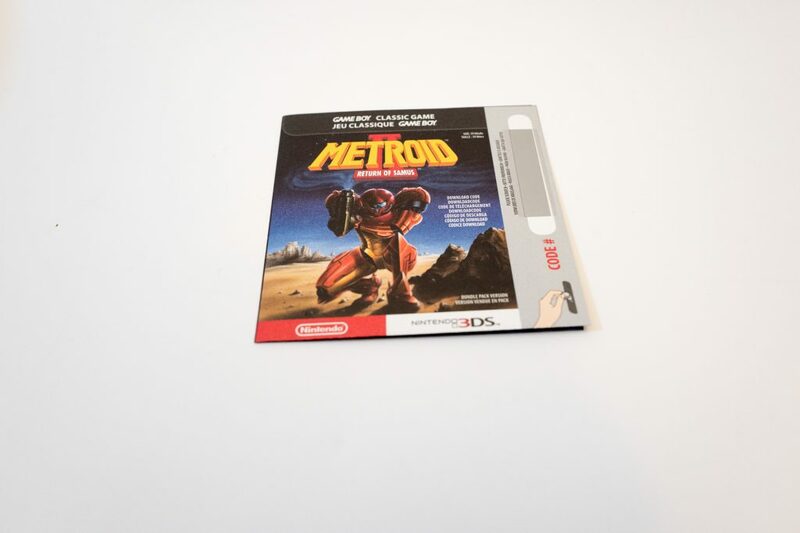 Next we have the 3DS download code for the classic game, I still need to use this, it will be great to play the original, but as I have it on the Gameboy already nothing beats that. 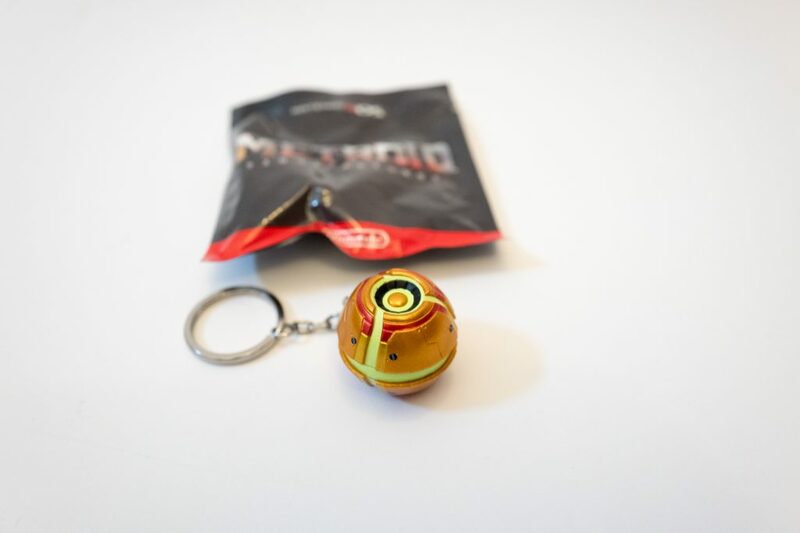 A Samus ball keyring, like the pin, a nice to have but I will not be using mine and it will be staying in the box. 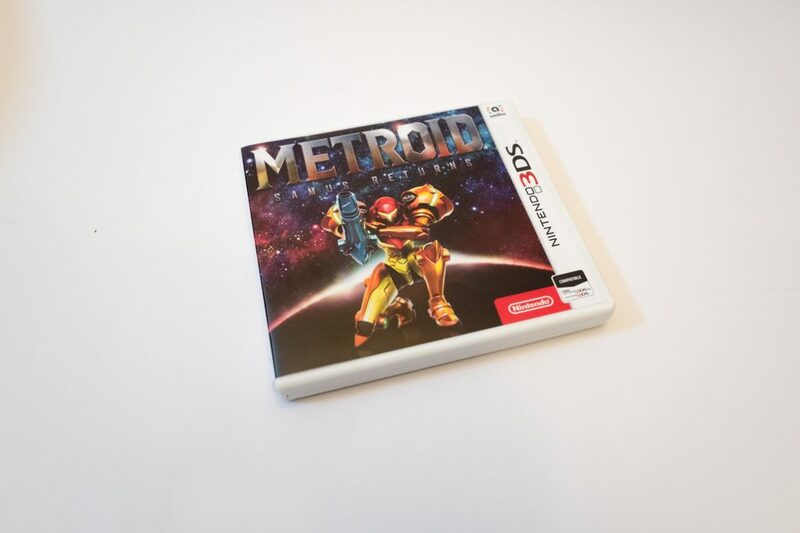 The game itself in a standard 3DS plastic box. 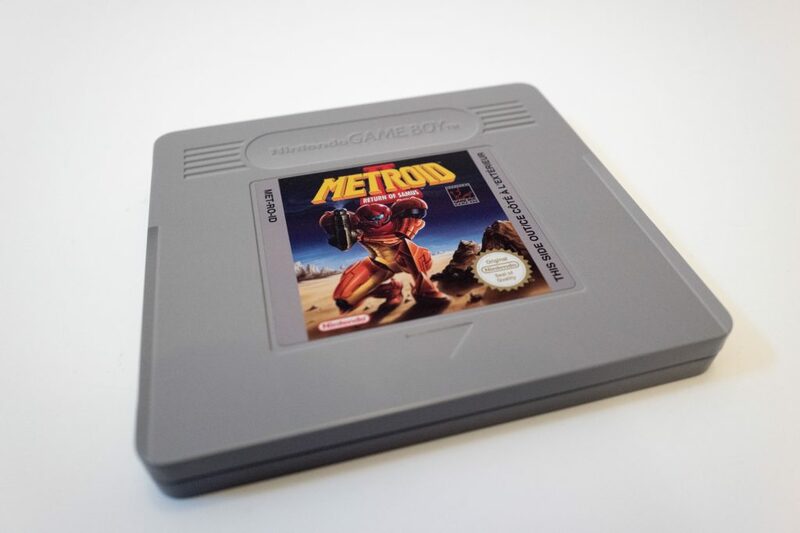 The final item in the Legacy edition and my favourite item, is this oversized Metriod II Gameboy cartridge in metal. 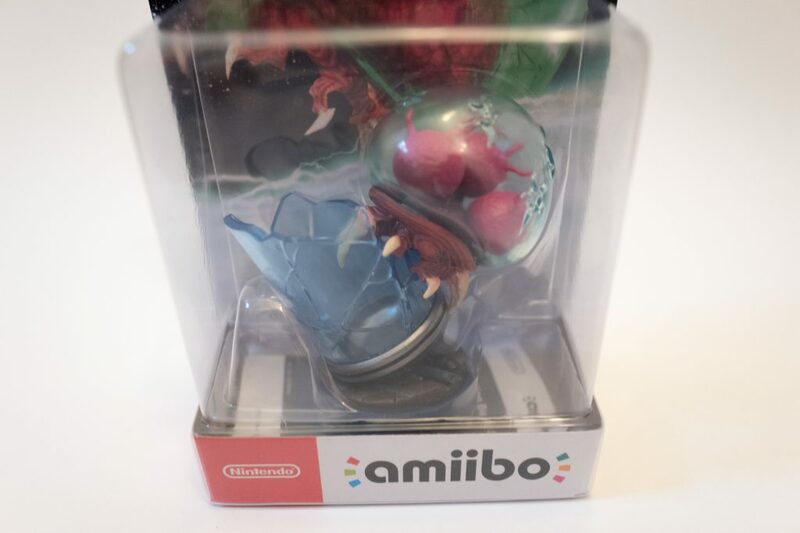 This is very big and the reason why the box is so wide! 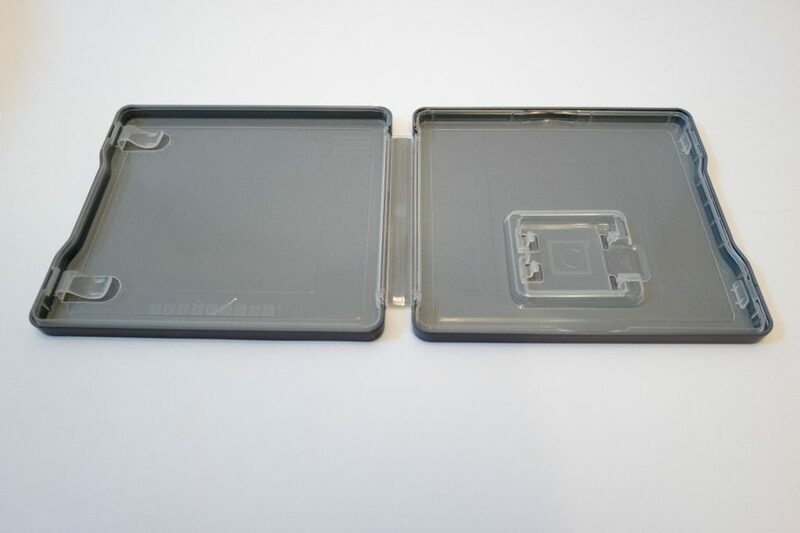 The metal box is the size of the 3DS plastic case but being in metal it is so much cooler! 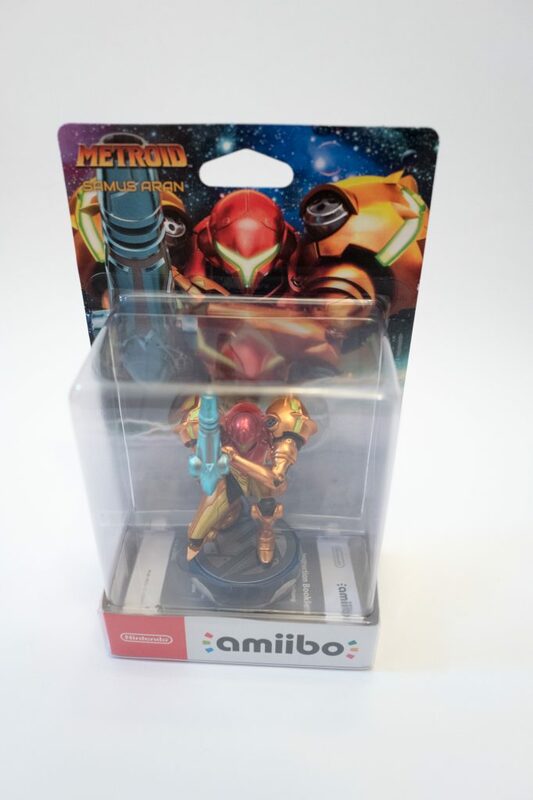 Next we have one of two Amiibo’s released with the game that you must purchase separately. 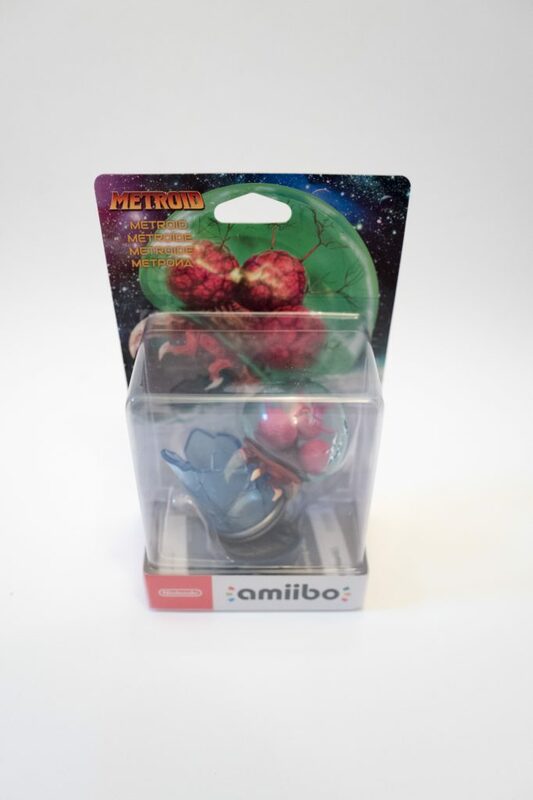 The first is the Metroid escaping out of the lab jar. 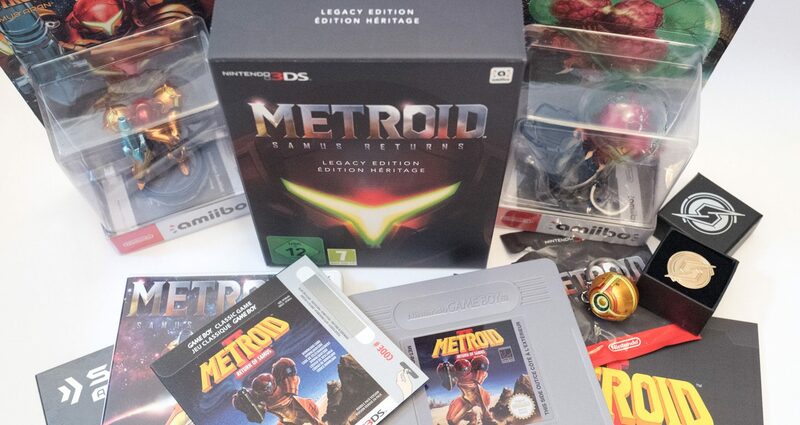 Taking a closer look this looks quite cool, as usual it will be staying in its box. 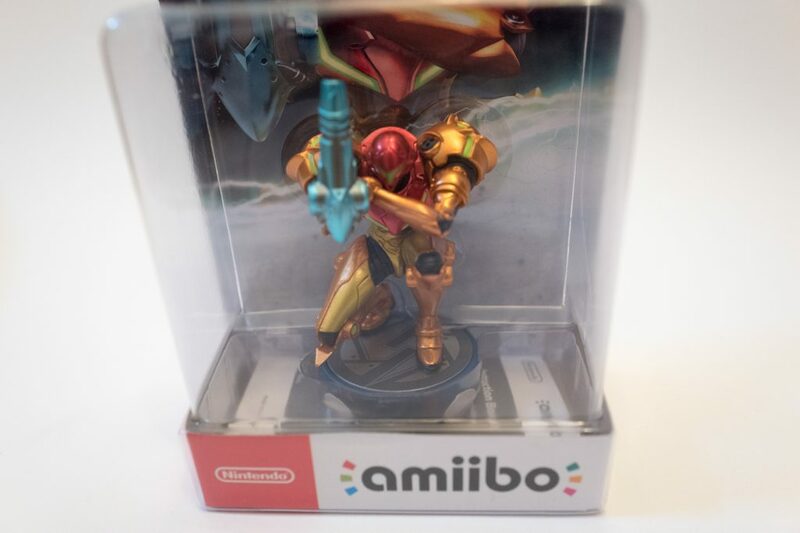 The second Amiibo is of Samus Aran, I prefer this one, it looks great with the shiny armour. 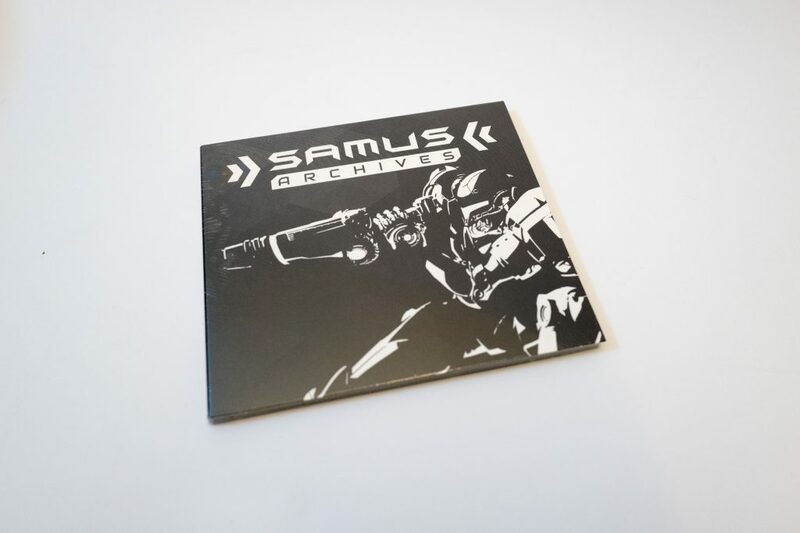 A closer look reveals some nice detailing.